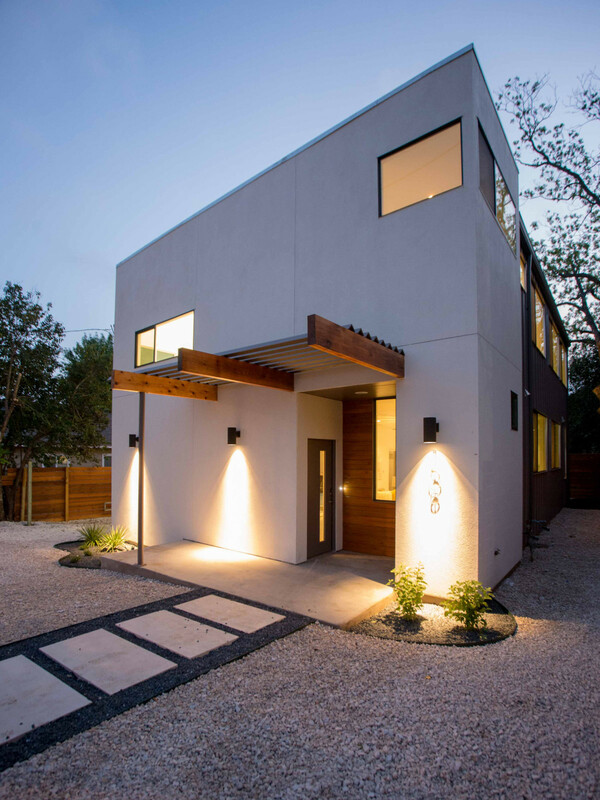 The Austin Modern Home Tour returns for its ninth year on Saturday, February 25, giving you the opportunity to step inside some of the city's best examples of modern design. 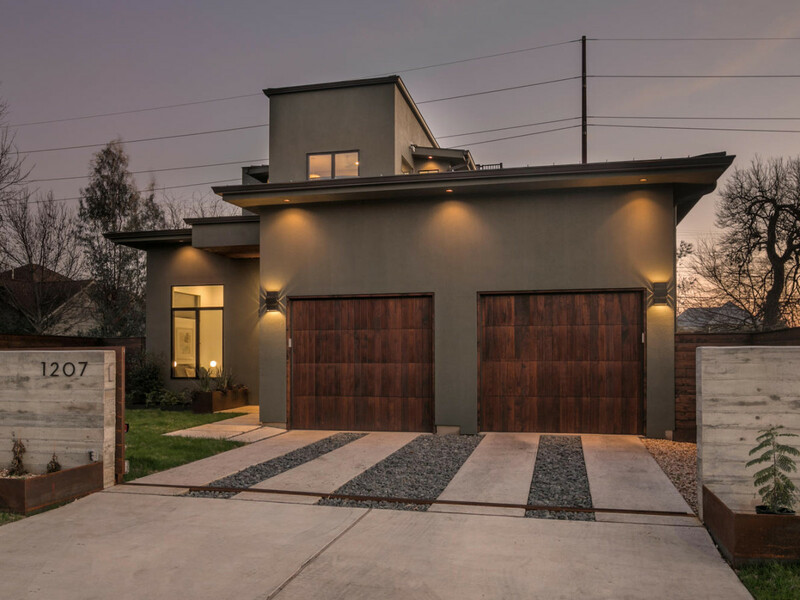 The tour, founded by Krisstina Wise of The GoodLife Team and produced by The Modern Architecture + Design Society, allows attendees to visit with architects and designers at 13 featured homes — four of which are on the market right now. 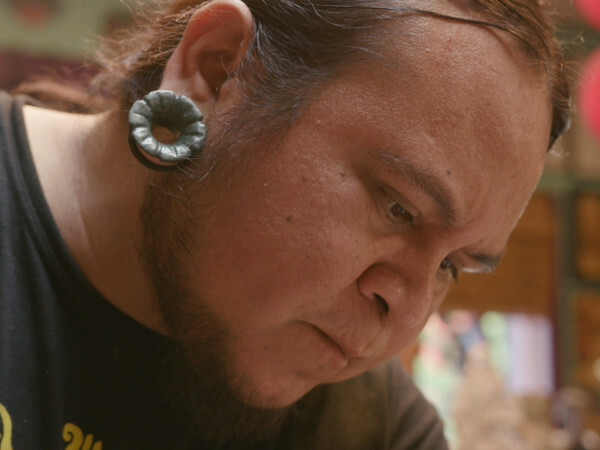 Tickets cost $35 and can be purchased ahead of time here. Admission is $40 at the door; children under 12 are free. 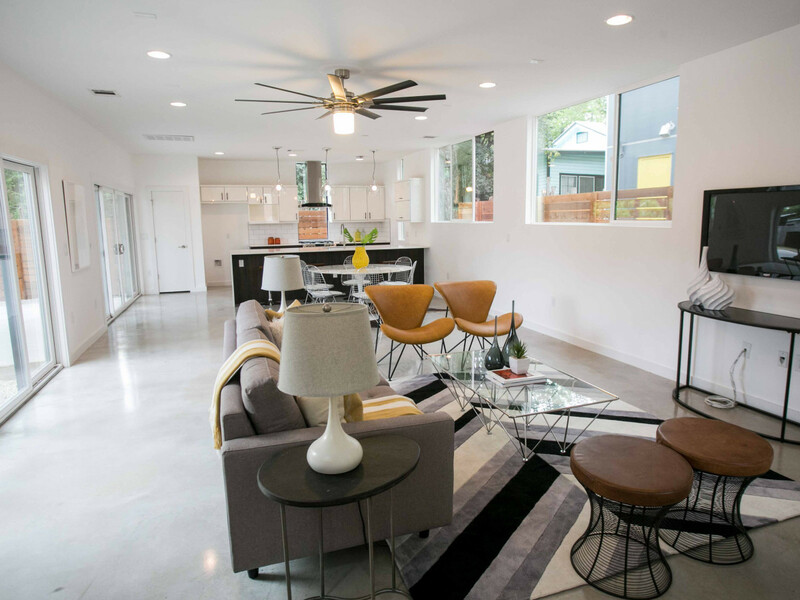 Enjoy a sneak peek inside five of the homes on this year's tour. 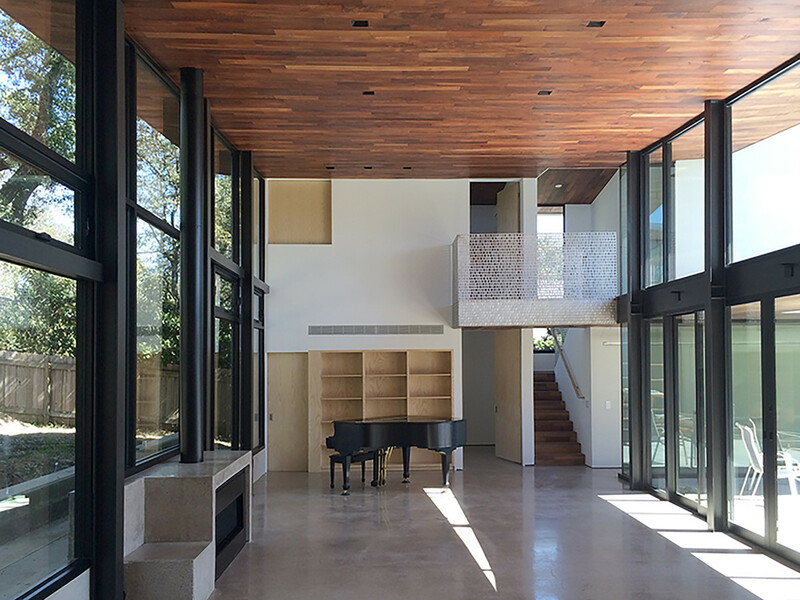 This Rollingwood family home brings the outdoors in with large windows and high ceilings. 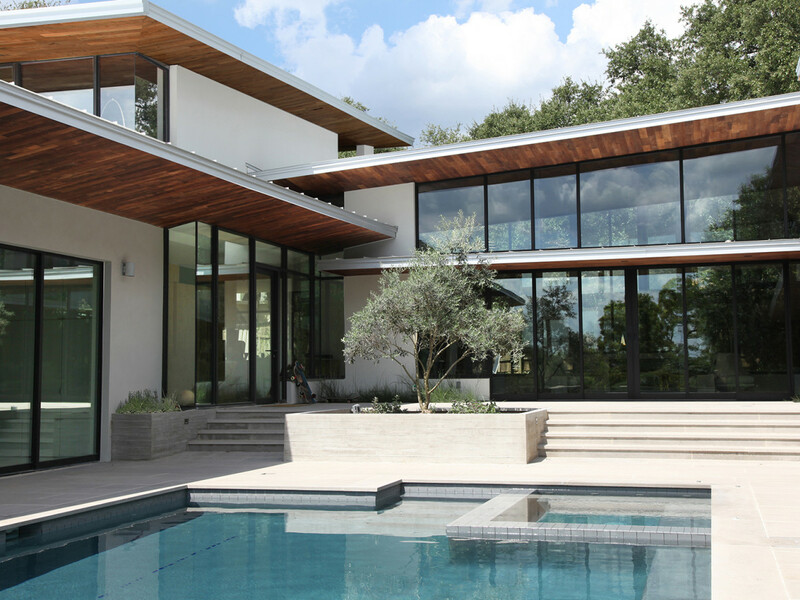 The overhanging roof protects the interior from direct sunlight and excessive heat. The layout is designed around this central courtyard, complete with a lovely pool. 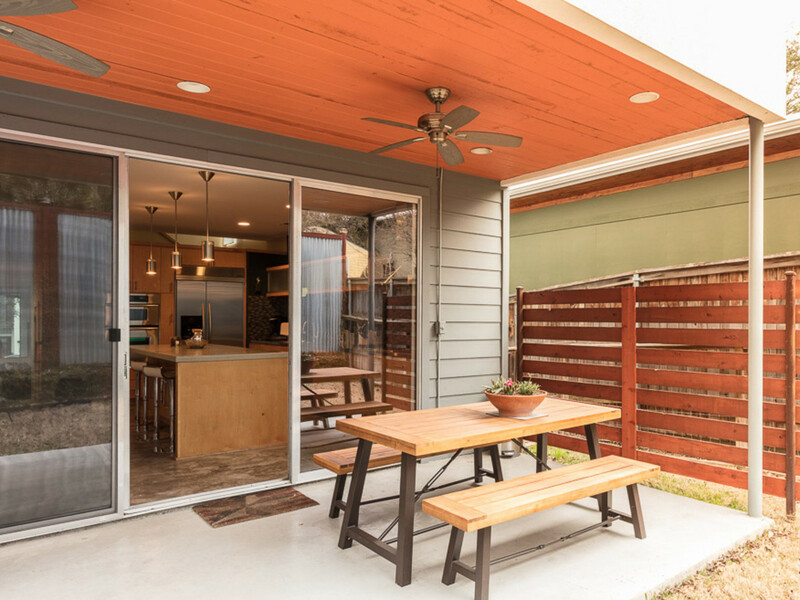 The most unique feature of this East Austin home is the master bedroom, situated on stilts. 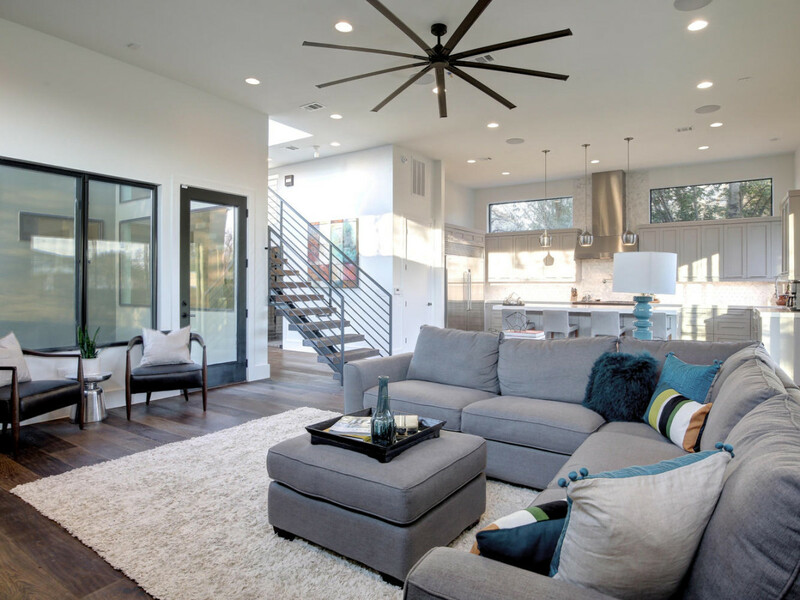 The design marries modern, industrial elements like steel with a pueblo feel. 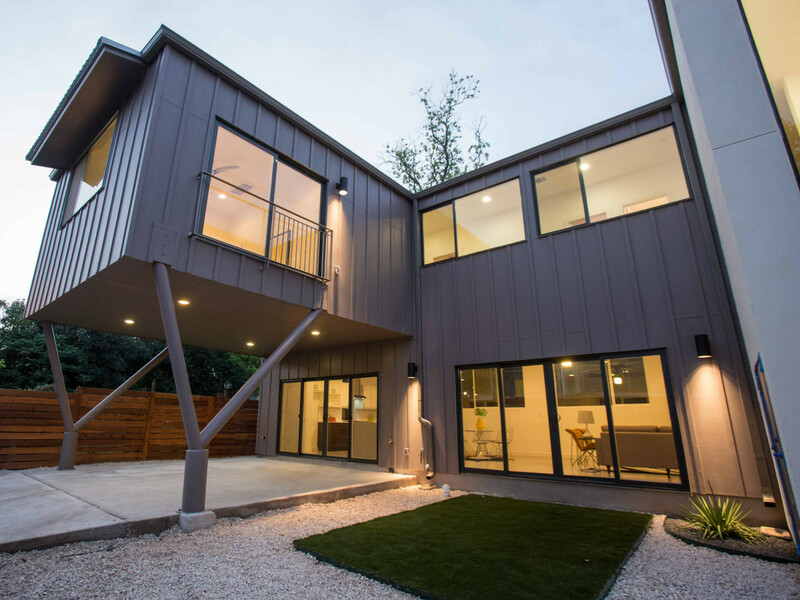 This green home is fully equipped with modern amenities, from high-tech appliances to bamboo flooring upstairs. 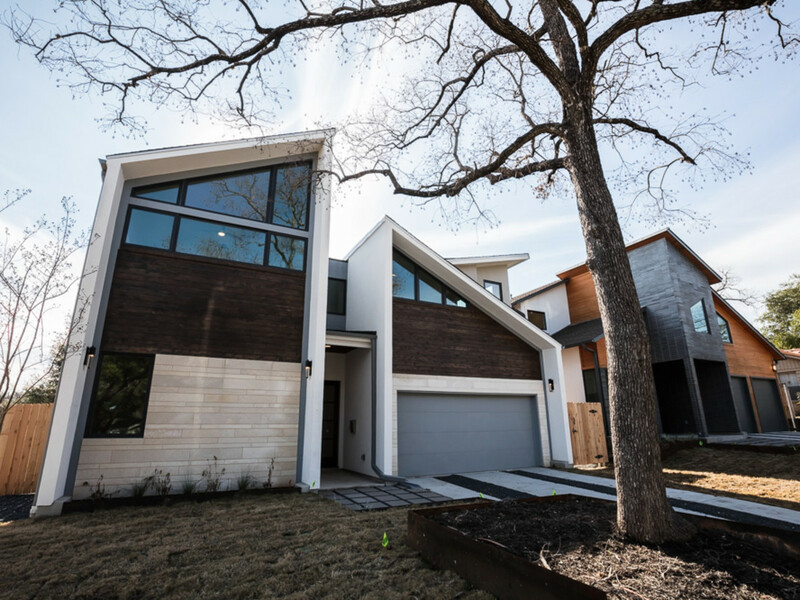 A large, modern house stands out in East Austin's historic Swede Hill neighborhood. 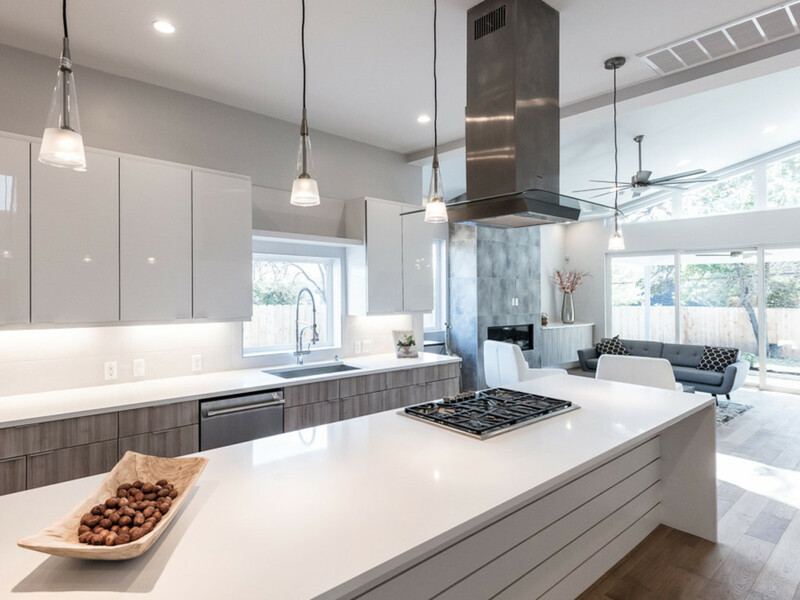 An open concept design combines the living, dining, and cooking spaces. Not pictured here: a refrigerated wine room. 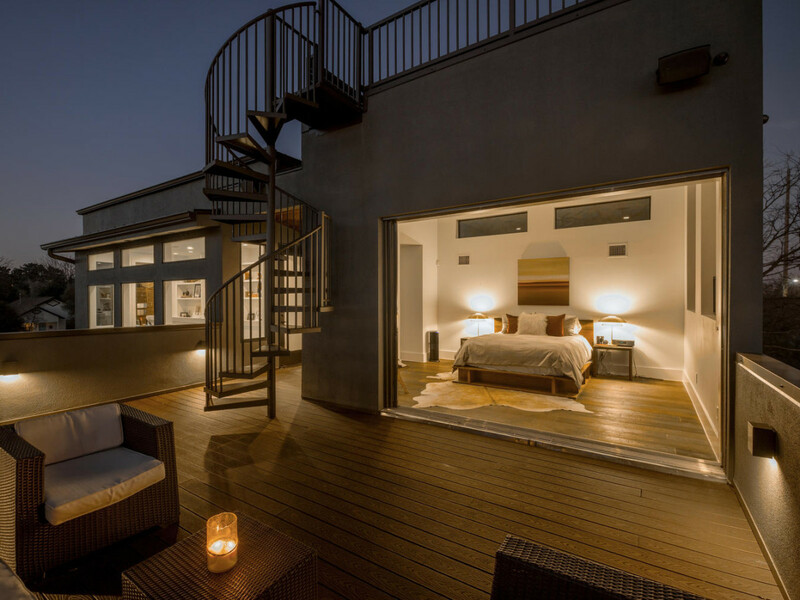 The master bathroom opens to the upper deck of a two-floor patio, complete with amazing views of downtown Austin. 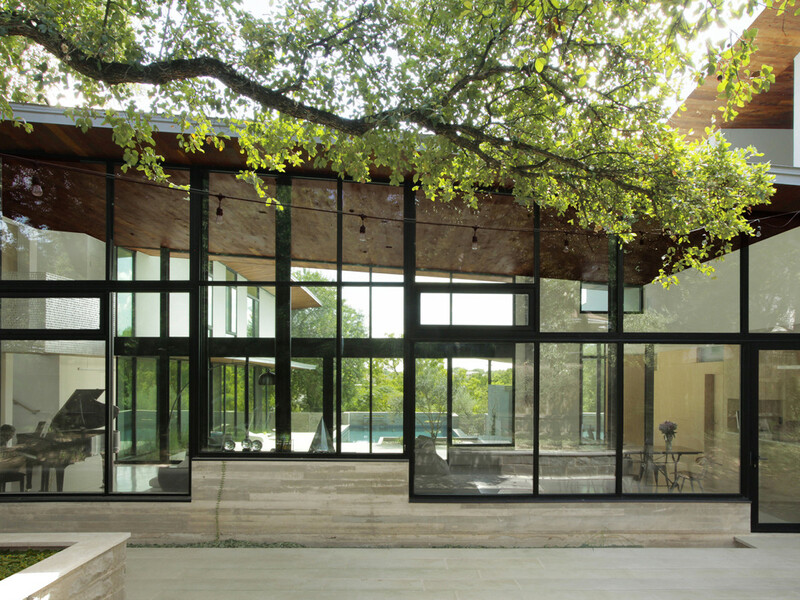 Angular windows and and bold color blocking greet visitors to this West Austin abode. Clean lines and a cool color palette create a sense of elegance. 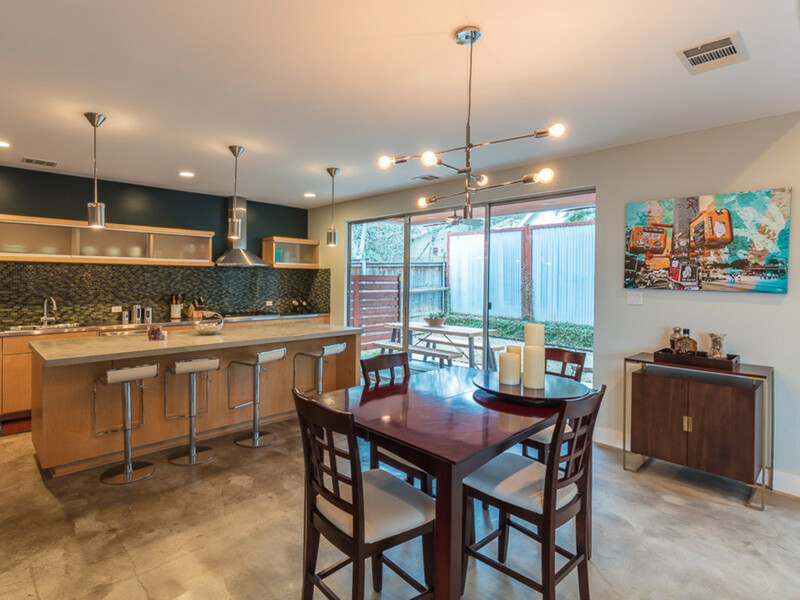 An open layout helps maximize the space, which is constrained by neighborhood restrictions in Tarrytown. 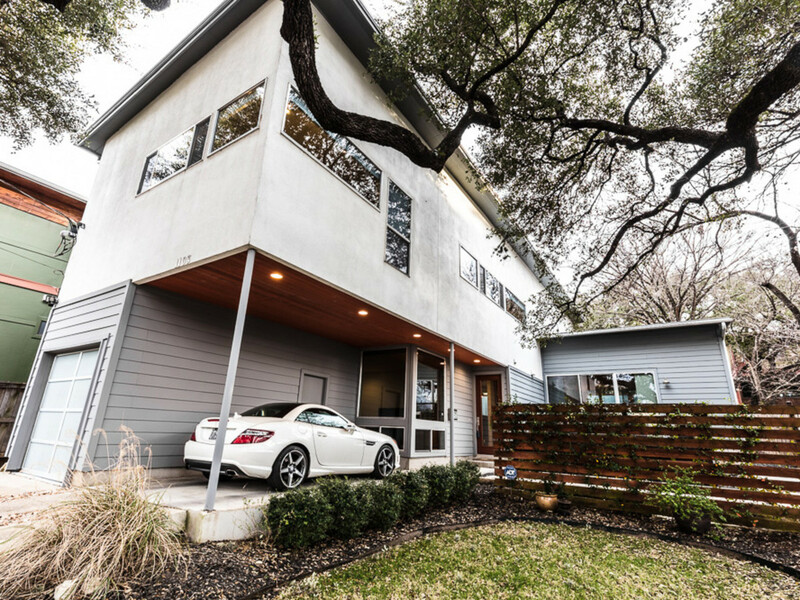 This South Austin hideout's three bedrooms, all located upstairs, have a modern treehouse feel. 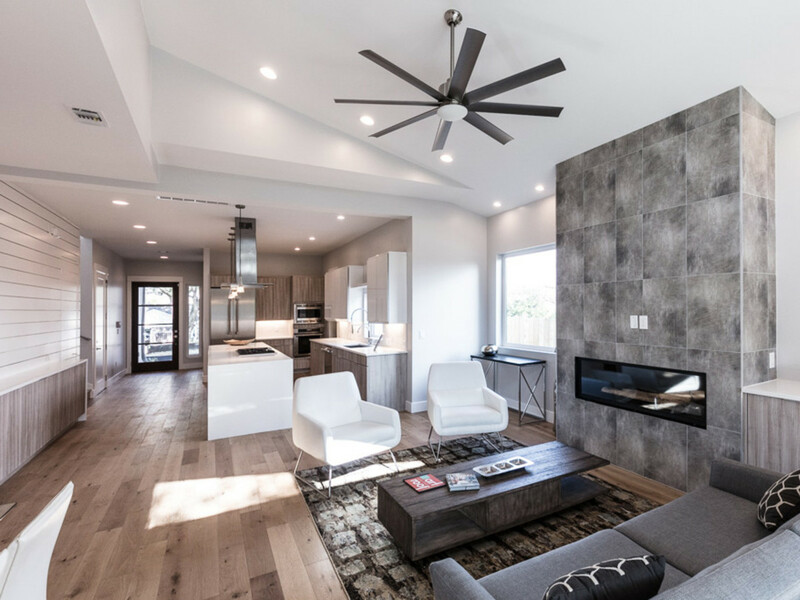 Where there isn't concrete on the main floor, you will find bamboo flooring, a trend among some of the home on the tour. 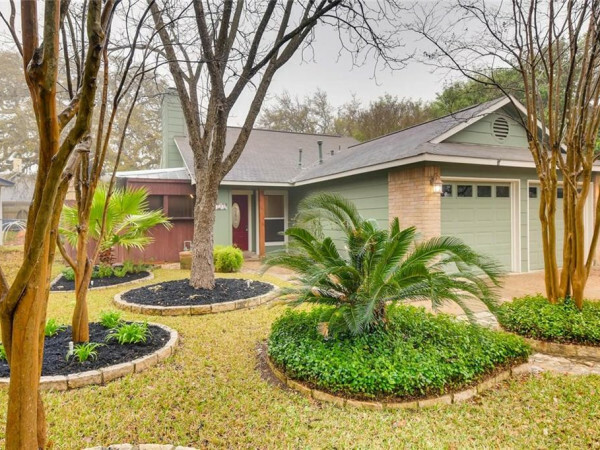 The house is perfect for entertaining with its quaint patio and open flow.